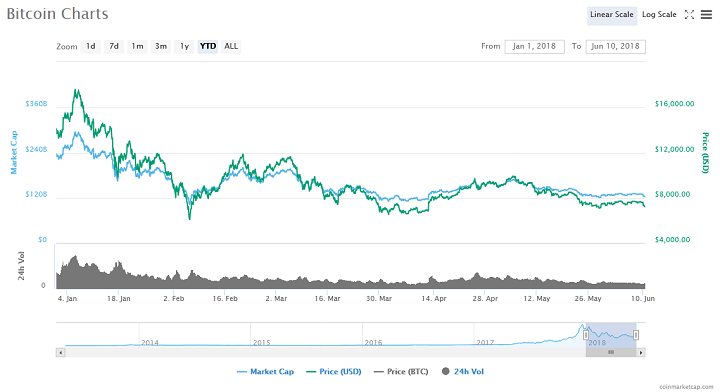 While he may begin to sound like a broken record, Fundstrat’s Tom Lee still isn’t ruling out his end-of-year BTC price prediction of $25,000. Earlier in the year, Lee declared that Bitcoin would reach $20,000 by the middle of the year before ending 2018 on a high note by setting a new record high. With the first half of the prediction looking unattainable, the Fundstrat analyst is refusing to back down. Lee affirmed his $25k BTC price prediction in a recent interview with Bloomberg saying that it was “completely reasonable.” According to Lee, the number cryptocurrency should be expected to surpass its previous all-time high. The Fundstrat analyst pointed to the emergence of more visibility in institutional activity. In the last few months, companies both within and outside the traditional cryptocurrency ecosystem have launched products and services targeted at large-scale investors. According to Lee, many large institutions are becoming pro-crypto including Nasdaq and Goldman Sachs. 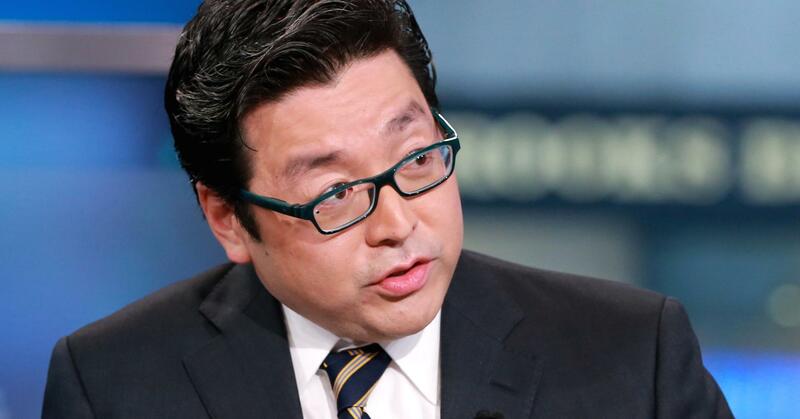 Tom Lee also spoke about the emergence of regulatory clarity for the cryptocurrency market, especially outside the United States. Countries like Japan, South Korea, and Malta have taken steps to create stable operating conditions for the digital currency businesses in their respective countries. Thus, exchange platforms are beginning to expand their operations in these countries. Binance and OKEx have announced moves to Malta, while Coinbase recently announced its new Japan office. Bitcoin mining is also another reason why Lee believes BTC price has to reach the $25,000 mark. According to him, the fully loaded cost for BTC mining in 2019 will be around $14,000, reflecting the increased mining difficulty. Thus, the trading price of the crypto has to be about twice the mining cost, so a price estimate of $25,000 is reasonable, according to Lee. Commenting on other issues in the world o cryptocurrencies, Lee revealed that contrary to popular opinion, there isn’t a great deal of speculation in the crypto market these days. There isn’t a lot of speculation in the crypto, compared to other markets. The ratio of dollars traded in all exchanges globally to the M2 is about 141:1. For commodities like oil, it is 40:1, and for cryptocurrency, it is 4:1. On the issue of its use in daily commerce, Lee also said that cryptocurrency is used a lot more frequently than people imagine. He pointed out that most economies outside the United States are, in fact, decentralized. Thus, it is a lot easier to use Bitcoin to transfer money than to use a money transfer agent like Western Union. A large part of this ease comes from the fees charged to carry out a transaction. Money transfer agents can charge up to 15 percent for remittance while BTC transactions only cost a small fraction of that amount. Do you still think Tom Lee’s $25,000 Bitcoin price prediction will come through at the end of the year? What is your end of year price predictions for the number one cryptocurrency? Keep the conversation going in the comment section below. Images courtesy of Ethereum World News Archives and CoinMarketCap.